Homegoing services for Shirley Jean Johnson were held 2 P.M., Saturday, January 26, 2019 at Madisonville Funeral Home in Madisonville, Texas. Interment was in Tanyard Cemetery in the Tanyard Community of Madison County. Shirley Jean Johnson was born July 5, 1956 in Midway, Texas to Dorothy & Walter T. Williams. 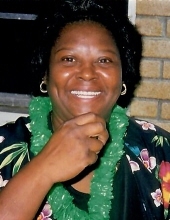 Shirley attended Marion Anderson School and Madisonville High School. At an early age, she confessed her faith in Christ at Tanyard United Methodist Church. She loved Dr. Pepper soda and watching "The Young and the Restless" TV show. She also loved to eat at Pancho's Mexican Restaurant. She was a former employee of Huntsville Memorial Hospital. She met and married Wilbert Johnson and Angela DeAnna Johnson was born. Later on in her life, she and Wilbert were divorced. Shirley spent a great deal of her life with Charles Fleming. In 2015, Shirley moved to Senior Care of Western Hills to be closer to the V.A. Hospital and Baylor Scott & White in Temple. Shirley passed away on January 21, 2019. Shirley was a friend, mother, daughter and a grandmother to Joshua DeAnthony Johnson. She was preceded in death by her father, Walter T. Williams; brother, Fred Kelly; grandmother, Carrie Harris and great grandmother, Emma Harris. She leaves to cherish her memories, mother, Dorothy M. Williams; daughter, Angela D. Johnson (Terence Perry); grandson, Joshua D. Johnson (fiancee & her daughter, Felecia & Breonna Carroll); uncle, C.S. Cooper; brother, Herbert Williams and a host of nieces, nephews and other relatives and friends. To send flowers or a remembrance gift to the family of Shirley J Johnson, please visit our Tribute Store. "Email Address" would like to share the life celebration of Shirley J Johnson. Click on the "link" to go to share a favorite memory or leave a condolence message for the family.